Luke Swanson and Brooke McEver were working in Bangladesh at the time of the incredible garment industry tragedy at Rana Plaza. In reaction, they decided to found a company to train locals to create accessories and garments from pineapples. The Tripty Project sources the waste agricultural byproducts from the harvesting of these sweet fruits, to turn it into a woven fabric. Using indigo and natural bark dyes, and unique weave patterns, the Tripty line of clothing and backpacks can send you on your next day hike in style. Founder Luke Swanson tells us that even though that injustices in the garment industry inspired their upstart, the purpose of Tripty is “much broader than any specific group or cause.” Tripty is not just making garments, they are piloting a new way of doing business with fair labor. “We work with embroidery groups to solve the issue of human trafficking, indigenous populations to help employ them and fight for their rights.” Even though their company is small right now, they focus on reinvestment. They have purchased machinery and trained locals on natural dying, quality control and accessory construction. In fact, the co-founders just finished a training in Bangladesh just before the New Year. “We are a small company, but the last six months since we completed our Kickstarter have really cemented our presence in Bangladesh and the international community.” They have just finished sampling their new line of clothing which will heavily feature the Pineapple Fabric. All of the outfits are made of our new collection with all woven material being pineapple fabric blends and all knits being upcycled material recovered from large factory waste. The new line will launch on Fashion Revolution Day which is April 24. Check their online store for updates on new release! Pineapple is a bromeliad, not a tree, but this is a terrific project! Luke Swanson and Brooke McEver were working in Bangladesh at the time of the incredible garment industry�tragedy at Rana Plaza. In reaction, they decided to found a company to train locals to create accessories and garments from�pineapples. The Tripty Project sources the waste agricultural byproducts from the harvesting of these sweet fruits, to turn it into a woven fabric. 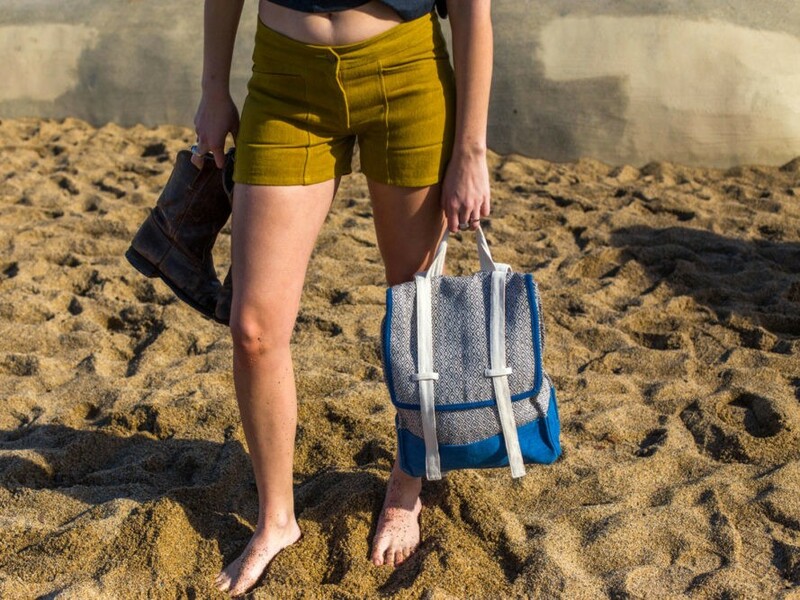 Using indigo and natural bark dyes, and unique weave patterns, the Tripty line of clothing and backpacks can send you on your next day hike in style.